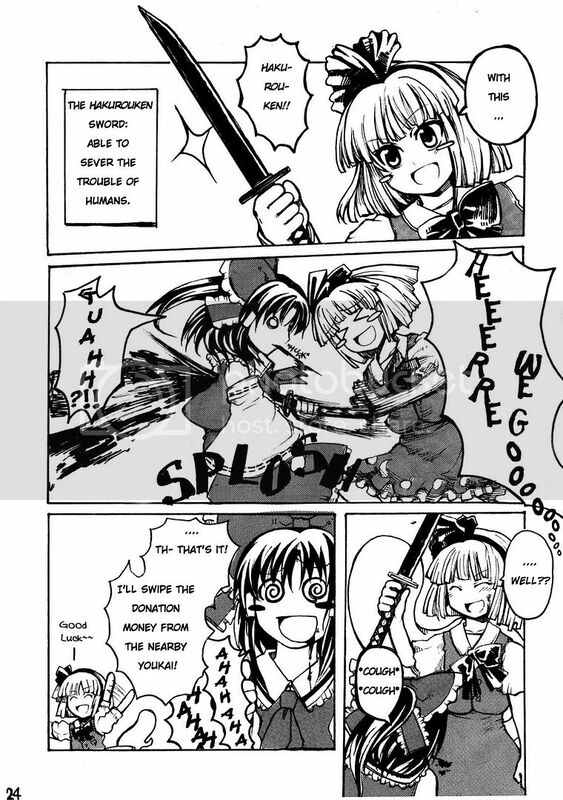 Quote from: "redrackham" NOt exactly an official manga, but i'm reading a lot of TOUHOU doujin. so... it seems that there's a sizable number of you guys that play it. What is this Touhou everyone talks of? Please, I am indeed more then willing to know. OOOKay......i'm not really an old fan of Touhou, i haven't even play any game because i don't know yet where i can get (or download) the game. If any of you have the link to the site that provide free or trial game....please let me know....i really want to play it. Life is the most complex OS and system ever. hmmm i think i had a site giving some of the games let dig up my overly cluttered bookmarks and see if i can find it. Xeon said "hmmm i think i had a site giving some of the games let dig up my overly cluttered bookmarks and see if i can find it." Ooooh........please tell me where i can get the *ehm* free touhou game if you can find the site. When I discovered Touhou, it was a fantastic experience! But they are not only pure high quality: they are also really really difficult! And this is really important! As a gamer, I don't like the lack of challenges in the last generation games.. it's difficult to find something really hard to finish, but at the same time, really entertaining! Well, Touhou is difficult, very difficult, but entertaining! Quote from: "Nafoi" When I discovered Touhou, it was a fantastic experience! 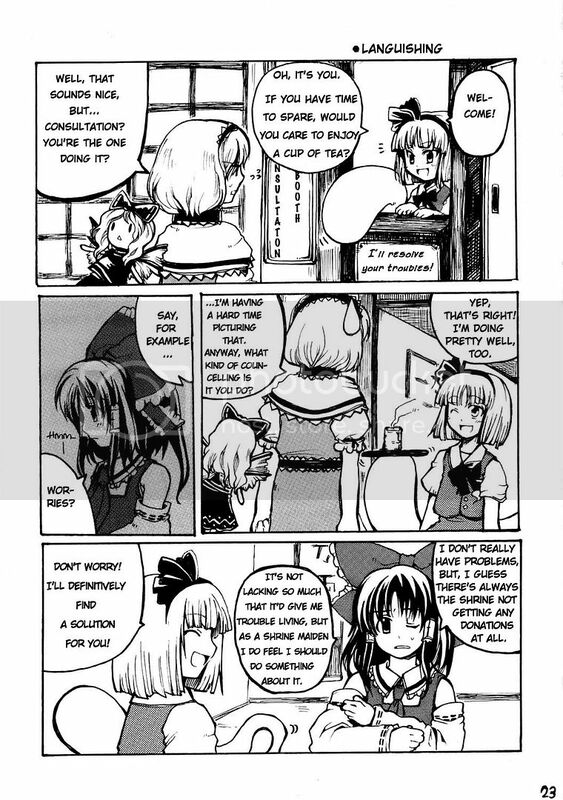 It's always good to know if there are more and more Touhou players! ^^ Even though I'm not a great gamer (1 continue clearing is difficult), but I still like the series very much because of the musics, the great variety of characters, the well-made world, the doujins... hard to say it all ^^ It has a different feeling for me than most of the other shoot 'em ups. I think Touhou's great. I have all the games that have come out including some of the games not created by ZUN himself like Touhou Hana or Marisa Land or Super Marisa etc. etc. I haven't beat all of them yet, just Phantasmagoria of Flower View and Immaterial and Missing Power, but I'll be happy to help walk you through those or the others to the extent I know or help you out with it. Especially if you're playing as Sakuya. 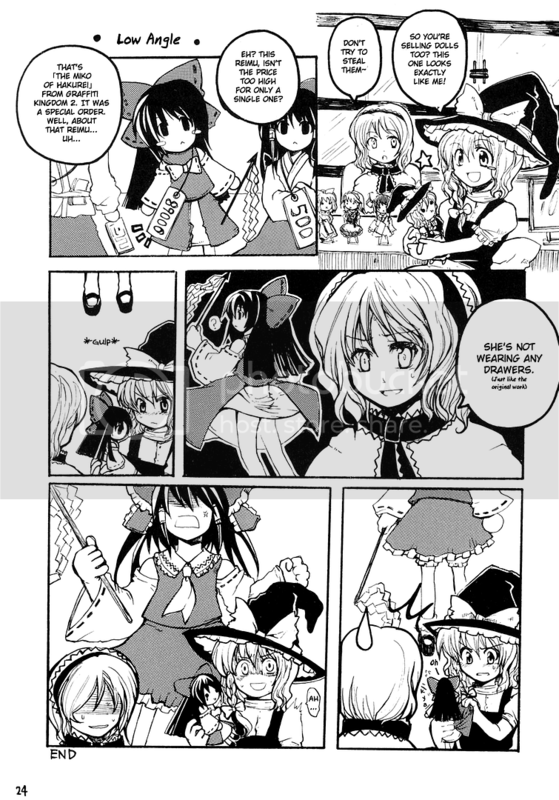 Quote from: "Shateiel" I think Touhou's great. I have all the games that have come out including some of the games not created by ZUN himself like Touhou Hana or Marisa Land or Super Marisa etc. etc. 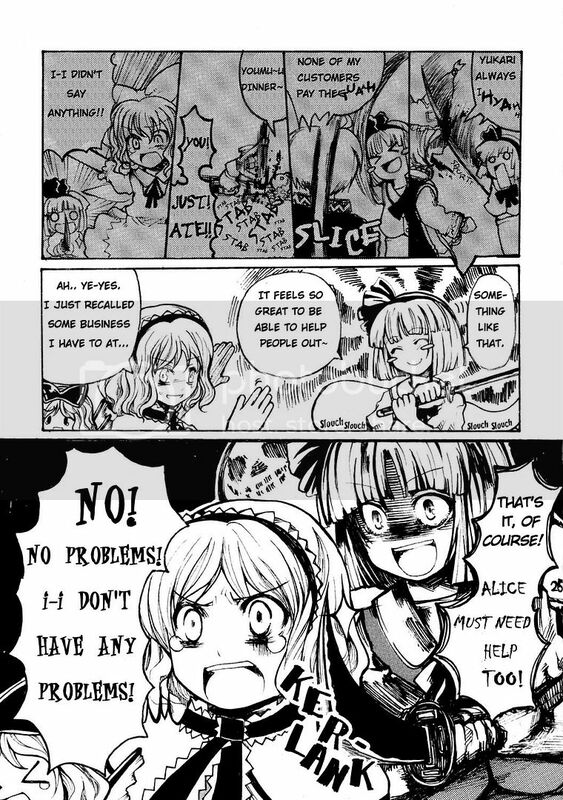 Heh, a Sakuya player. =D In IaMP, I use Sakuya too (she was the first char I ever used in a Touhou game, because IaMP was my first Touhou game). In Shoot the Bullet press Z to take a picture and C to focus and charge up the camera faster. Standard controls for a Touhou game. No player spell cards to make use of X, though. Ah, yes, I certainly am a proud Sakuya player. Nothing like barraging an opponent with torrents of knives. It seems a lot of people do start out with IaMP, but I started right with the old C64 Highly Responsive to Prayers and tried them out all in order. OI! Stop shutting others out of the discussion! Where can i find these beauties??? mayb some pros can give me some tips XD.